These are global products, which will be available pretty much everywhere except North America, Korea and Japan. We have a particular focus on growth markets – for example, India and China, Thailand and Indonesia then over to Egypt, Kenya and Nigeria, and South America, especially countries like Brazil, and Mexico. They are all places where we’re seeing this big shift from feature phones to affordable smartphones. 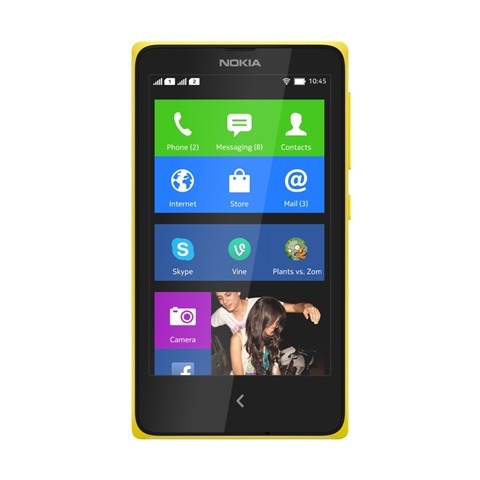 Our Nokia X family customers are young, social, very aspirational and are fans of Nokia. They love our brand and our product design. And they also love Android apps: the quantity and choice is very appealing to them. Nokia design and build quality; Microsoft cloud services; and Android apps. Nevanlinna sees the Nokia X not as a competitor to low end Lumia devices (even though the specs of the Nokia X are similar to the Lumia 520), but as a “stepping stone” to Lumia. “With Nokia X”, he says, “we are bringing people the best of Nokia and Microsoft services and experiences, making a future switch to Lumia natural”. I think the key word is ‘family’. We will be announcing more products in the family over the course of the next year, and the price range it covers will change to suit the markets. We will be taking Nokia X into even more affordable price points. We’re not sure where Nokia got the idea that people “love Android apps” but somehow don’t have the same feeling for Google services, or that those users are somehow clamoring for “popular Microsoft services” on their Android phones, or why it’s a “natural pathway” for users to leave all those Android apps that they “love” behind to switch to a Windows Phone after starting out on Android, but that’s the thinking at Nokia, and presumably soon at Microsoft. Are services “stickier” than apps? Will users abandon their Android apps to move up to a Windows Phone? And is there really a “sweet spot” between feature phones and Windows Phones, a niche that needs filling with Android? According to Nokia’s VP for Mobile Phone Marketing there is. What do you think?